On the night of the celebration of Long and Huong’s wedding, the Chinese Community Centre Lion Dance Troupe were hired to perform for the newly weds as part of a wedding gift from the brides family. The performance was a surprise for the newly weds, and its guests. 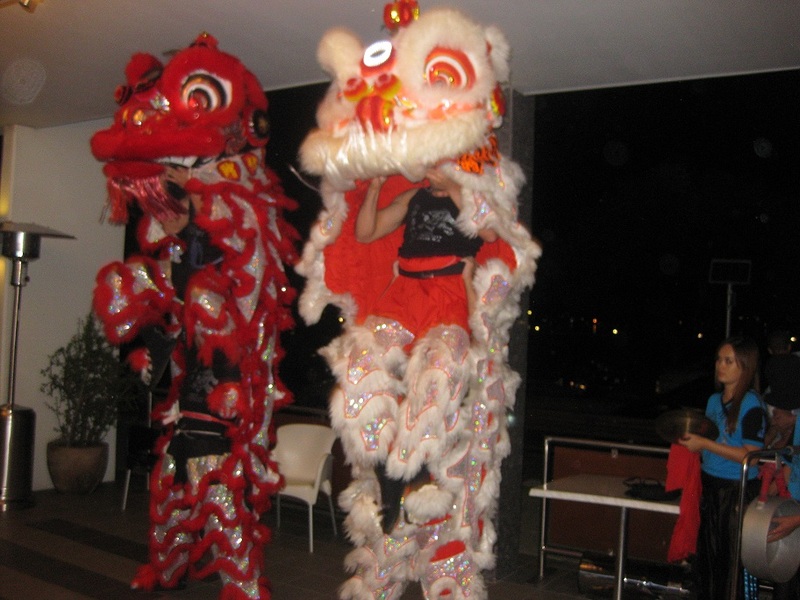 When the formalities were finished, the lion dance performance began with the 2 lions running into the restaurant followed by the instrumental band. The lions met the bride and groom at the bridal table, then moved to the other tables entertaining the guests. The lions then presented the bride and groom with a good luck scroll before finishing the performance. The CCC Lion Dance Troupe will like to congratulate Long and Huong on their wedding, and wish them the best in their everlasting future together. 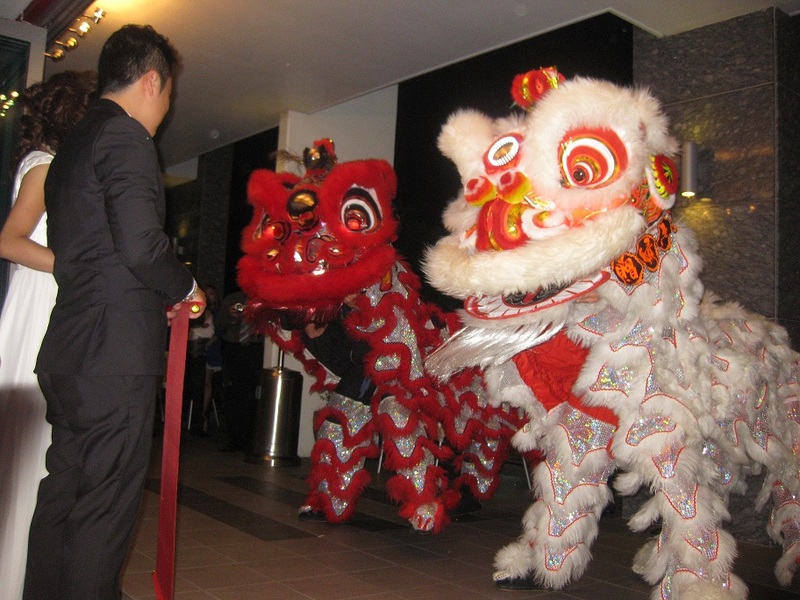 On the 20th April 2012, the CCC Lion Dance Troupe performed at the wedding of Aaron and Natalie Tay. 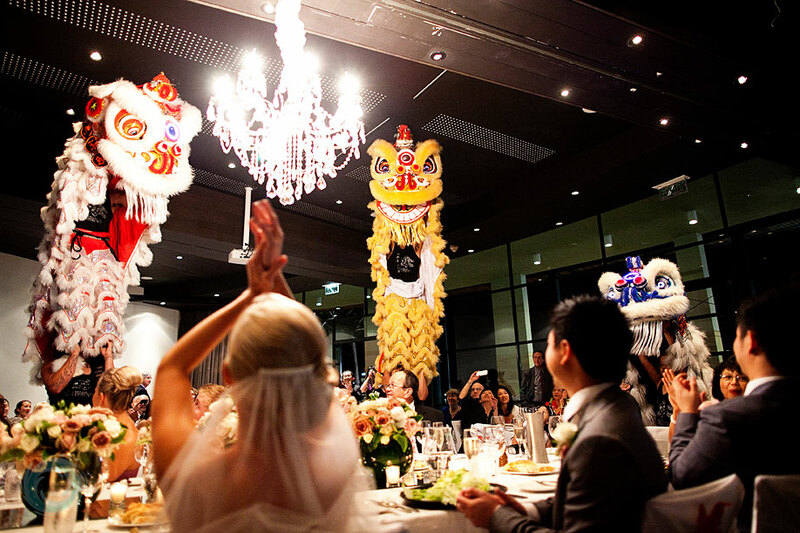 The bride and groom at first didn’t know much about the lion dance and how it was to be incorporated into the wedding. But with family and friends coming from different parts of the world, such as Singapore, the bride and groom thought it be good to have something different in which all the guests can enjoy. On the night after the bridal party was introduced to the guests and were seated, the MC introduced the troupe and the lions then came through the doors to the surprise and excitement of the guests. 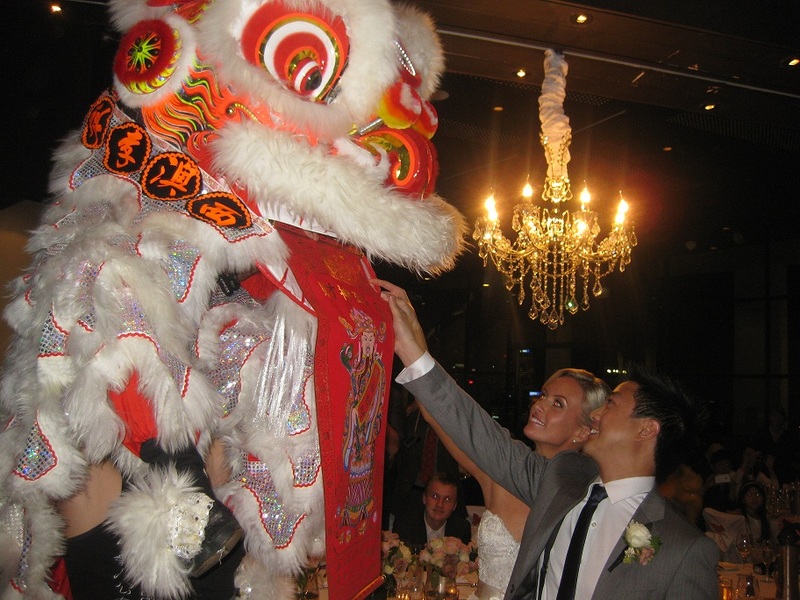 The lions interacted with the bride and groom and all its guests before grabbing the 2 lettuces hung on the ceiling. To finish the performance, the lions presented the bride and groom with a good luck scroll before standing high up for the grand finale. The performance was well enjoyed by all the guests, especially by the bride and groom. The CCC Lion Dance Troupe will like to wish the newly weds all the best in their new lives together, and we hope your marriage will be one filled with everlasting happiness and love.